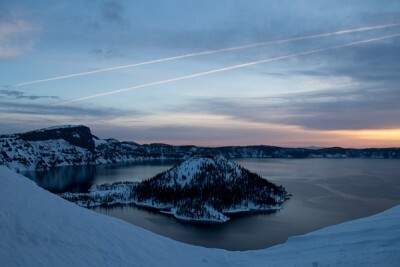 Crater Lake averages 44 feet of snow each year, and is a great winter snow camping location. Hike to the top of Mount Scott to a working fire lookout. The highest point in the Crater Lake National Park, the summit is at 8,938 feet. The views of Crater Lake are great from the watch tower at the top of the Watchman trail. These photos were taken on a sunset hike. 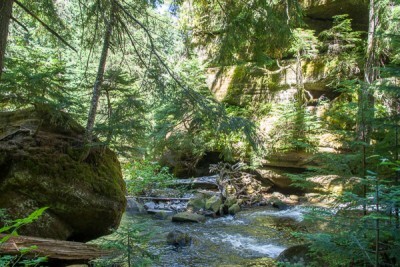 This is a short hike, located just off of Highway 58, with two waterfalls (including the second tallest in Oregon), a forest understory full of rhododendrons, interesting rustic bridges and rippling streams. A short hike to Tekotee Falls along the North Umpqua River.